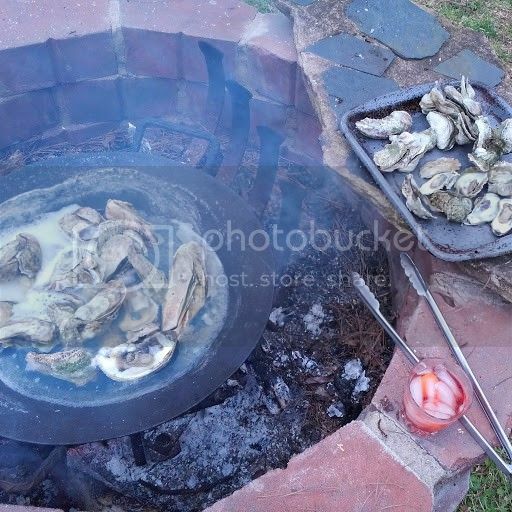 Steamed oysters over the fire pit tonight, with sauteed Brussels sprouts. 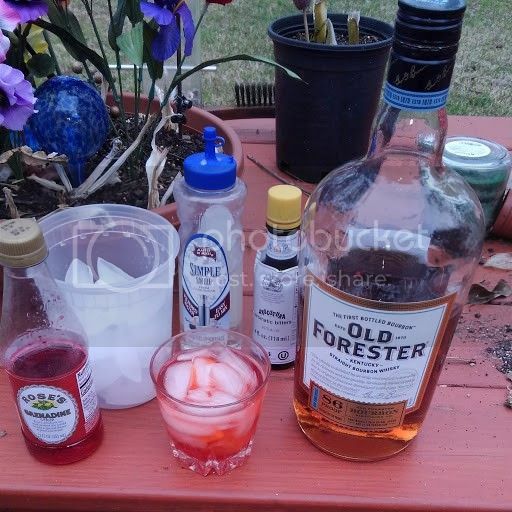 Old Agronomist, meet Old Forester...we hit it off right away. Seems we are both 'Old Fashioned" guys. Clean up, and a nice sunset through the pines. It was so good I had to report it. That whiskey is made 2 hours from us. 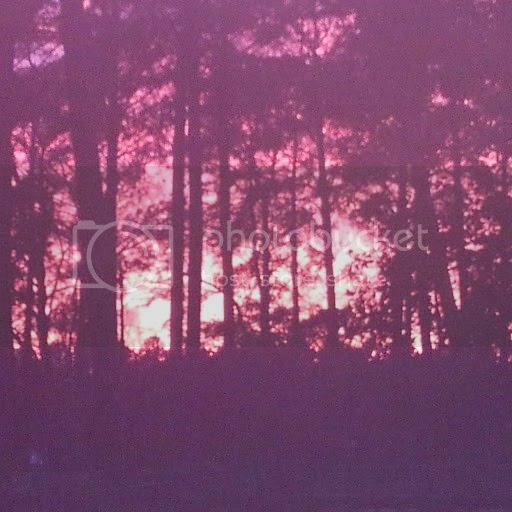 It looks like the colors of the setting sun. Have fun! Last edited by Freedomforall on Sun Mar 17, 2019 1:18 pm, edited 1 time in total. I skimmed past most of what you wrote and scrolled down to the pics. For a moment I thought that last one was a forest fire! That's an impressive sunset. Thanks for sharing. Now that's what I call a real Sundowner! Cooked oysters are far more to my taste than the raw variety, so prized on this side of the Pond. The Bourbon looks great too. Kirbstone wrote: Now that's what I call a real Sundowner! Tom, I love oysters just about any way you can fix them including raw which by the way is my favorite way to fix them. "Demon Rum" or old fashion potato Vodka. Corn on the cob roasted over the fire pit would in my opinion been a much better choice than sautéed Brussels sprouts. But Dillon I am glad you enjoyed your repast with that beautiful sunset through the trees. Thanks, guys. I guess as a retiree I just have less and less to report here. 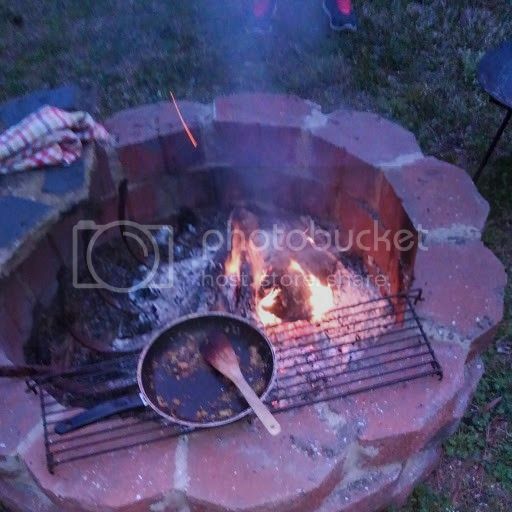 Any of you from a farm, though, might have observed that the andirons in the fire pit was a gang from an old spring-tooth cultivator, lol. And the "wok" was an old disk blade. My cell phone camera did not capture the sunset very well; it was certainly bolder. And Fred, my wife was saying the same thing about corn on the cob. But that must wait for summer. I don't eat the supermarket "paper mache'"corn; as one who grew and sold sweet corn for years I cant stand it if it's out of the field for over a day or two. I prefer to pick it and then shuck and silk it on the way to the pot or grill. I've been known to eat it raw in the field. That always impressed customers.